My name is Dana Rankin also know was Diva Dane. 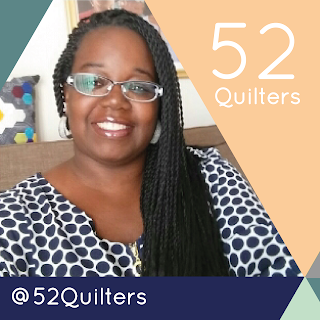 I am very excited to be taking over the week on 52 Quilters. You can follow me on my Instagram page, Craftdiva_Divadane and also on my blog www.thecraftdivas.com. A little bit about myself, I have been quilting for over 10 years. I love modern style of quilting and applique. I am born and raised from Detroit, Michigan. During the day I am a Conversion Computer Programmer. I hope everyone will enjoy this week with me and if you should have any questions, just let me know.